It was full house for Father’s Day breakfast, brunch and lunch at KAZOOMIES on Fremantle’s Victoria Quay, with people queueing up to get a table. Word of mouth and reviews of excellent food is making this small restaurant one of Freo’s favourites. Try it out one day! It is a great spot to enjoy the sun while watching the activities in Fremantle Port, and wandering around the E Shed markets. What a beautiful start to FATHERS DAY it was with a clear blue sky, a brilliant sunrise and a nice crisp morning, but it will warm up a bit later today. I hope all you perfect dads out there will get spoiled rotten by the kids! The early sun lit up the northern side of historic High Street beautifully, so I had to take a photo of my favourite street in Freo, so that I could share it with you all. The Growers Green Farmers Markets are on at Fremantle College, so take advantage of the sunshine and have a wander around there. Fathers Days was well celebrated in Fremantle with lots of families in the parks, along the foreshore, on the beaches and in restaurants and cafes. There were some good old-fashioned picnics going on at the Esplanade while in the Fishing Boat Harbour the yachties showed of their expensive investment. TAKE DAD TO THE GROWERS GREEN MARKET! Come on Fremantle kids and mums, take DAD to a special place this Sunday and visit the Growers Green Farmers Market at Lefroy Road. There is live music, and DAD could have a face painting or cuddle up with sheep at Damian’s Farm. The Growers Green is a lot of fun, so make is a very special day for DAD! Comments Off on TAKE DAD TO THE GROWERS GREEN MARKET! A photo I took today in Fremantle Market Street. 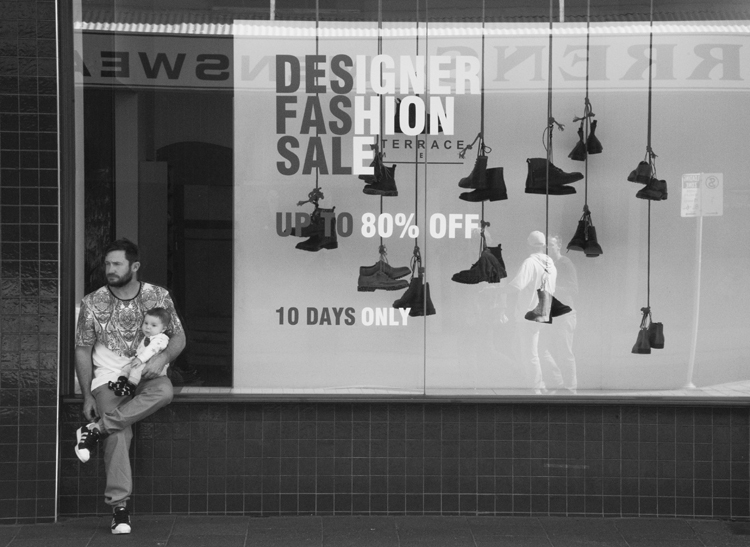 I thought it was a good Fathers Day street photo to share with you all. All you dads out there I hope the kids have spoilt you rotten!